Agriculture is changing. There is an increasing gap between how food is produced and public knowledge and values about agriculture. Dairy farming in the UK has changed from seasonal housing and grazing to around a fifth of farmers housing cows all year around. This change continues to be controversial with the public. Consumers are concerned about the environmental, welfare and social impacts of large farms housing cows all year around. The show ‘Cows eat grass, don’t they?’ will take place at the Edinburgh Fringe on 14th August as part of the Cabaret of Dangerous Ideas; an informal platform for academics to engage the public with their research. The informal setting of the Fringe and the mixed audiences that shows typically attract provides an interesting opportunity to explore their thoughts and perspectives, and to provide some extra information about the dairying industry, both ‘traditional’ and evolving practice. The show is part of a wider three year project exploring the future of indoor and pasture based dairy systems in the UK and Ireland: www.docowseatgrass.org. “We did the event last year and there were farmers, industry representatives, animal rights activists and interested members of the public. The discussion was lively and nuanced and insightful,” said Orla. Join her to discuss indoor dairy farming and the future of the industry at the Edinburgh Fringe. The show is on the 14th August at 8:10 pm in the New Town Theatre, Edinburgh. Tickets are available at: http://codi.beltanenetwork.org/event/cows-eat-grass-dont-they-cabaret-of-dangerous-ideas-2018/. Besides her talk at the Edinburgh Fringe, Orla's research also involves a survey of dairy farmers to listen to their views on the future of the industry. 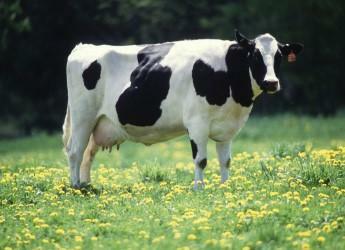 The survey is for any commercial dairy farmers in the UK and Ireland. It takes around 10-15 minutes to complete, with questions covering production systems and opinions. “It’s an important time for dairy farming in the UK,” said Orla. The survey can be found at: http://surveys.hutton.ac.uk/docowseatgrass.